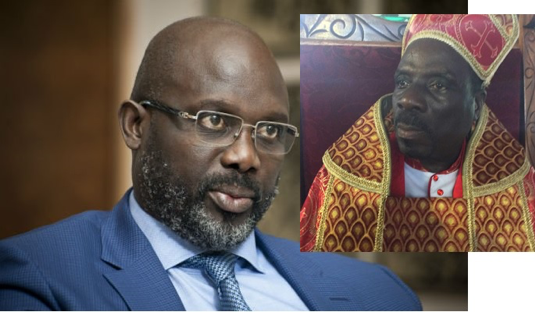 AT A PROGRAM MARKING the one-year anniversary of President George Manneh Weah’s leadership Tuesday, Reverend Isaac Winkler, Archbishop of the Dominion Christian Fellowship Church, prayed that ‘God’ should rise up against anyone who will rise up against the leadership of the Liberian President. THE CLERGYMAN’S COMMENTS are causing quite a storm on social media with many accusing him of misinterpreting the teachings of the Bible for selfish reasons. THE CLERGYMAN’S RANTINGS draw stark contrast from years past when outstanding clergymen, women and Imams, who spoke out against societal vices during the 70s, 80s and 90s. THE LIKES OF Rev. Mother Wilhelmina Dukuly of the Faith Healing Temple of Jesus Christ; the Most Rev. George Daniel Browne, Episcopal Church of Liberia; Rev. Dr. Roland Jigi Payne, Lutheran Church of Liberia, the Most Rev. Michael Kpakala Francis, Catholic Church of Liberia, Rev. Walter D. Richards, Rev. E. Tumu Reeves and Sheikh Kafumba Konneh spoke truth to power and against nepotism, greed and corruption. IRONICALLY, IN YEAR’S PAST, the very ills Rev. Winkler and others are refusing to speak out against were trumpeted by past members of the clergy and highlighted against previous governments by some very powerful members of the clergy. FOR EXAMPLE, the sermons of Rev. Richards, former pastor of Brewerville’s Salem Baptist Church and Clay Ashland’s First Baptist Church often incurred the wrath of the Samuel Doe government. When soldiers loyal to Doe entered the Richards family’s native Clay Ashland one afternoon in June, 1990, they went looking for Rev. Walter Richards, but mistook his brother, the eminent Liberian sculptor R. Vanjah Richards for Pastor Richards. The soldiers arrested R. Vanjah, beheaded him and threw his body into the Po River on the Bomi Hills highway. THE LATE Archbishop Francis was fearless in trumpeting gross disregard for human rights under both Doe and Taylor governments. During the height of the civil war, he questioned the delay in response of the US in helping to stop the bloodshed in Liberia, and took the US to task for turning a blind eye to human rights abuses by Doe. BISHOP FRANCIS defied threats and voiced Liberian citizens’ longings for peace and for greater respect of human rights. Under his watch, the Catholic Church also organized a nationwide reporting system on abuses and broadcast findings via a church radio station until it was destroyed. AFTER FOURTEEN YEARS of civil war which killed nearly a quarter million people and saw mass looting, assassinations, arbitrary detentions, disappearances, sexual violence and widespread destruction of properties, visible scars are evident about the damage caused Africa’s oldest republic. THIS IS ALL THE MORE reason the church and religious leaders should seize the moment and speak truth to power and ensure that Liberia does not revert to its ugly past. THE CHURCH OWES it to Liberians to offer spiritual needs while realizing the volatility of a nation still rebounding from war. TODAY, THE COUNTRY is still mesmerized by the disappearance of billions of dollars in local currency and lingering questions regarding how US$25 million intended to curb rising exchange rate was distributed. Finance Minister Samuel Tweah claims money changers in New Kru Town and Clara Town were beneficiaries but has failed to show proof or given a breakdown of distribution. AS CRITICS CONTINUE to pounce in issues such as these, it befuddles us that a member of the Liberian clergy would come out and claim that he has a prophecy from God stating that anyone who speak out against the ills in the society would face the wrath of God. REV. WINKER owes it to Liberians to explain when, where and how God spoke to him and what context he is speaking. 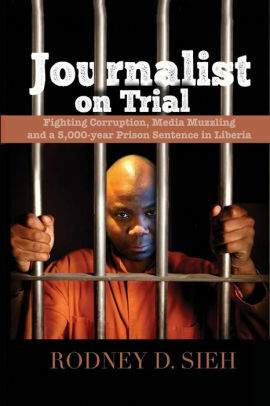 IT IS EQUALLY MOCKING for any so-called man of God to use the pulpit to indirectly threatened those with the balls to speak truth to power, especially at a time when members of the three branches of government are failing Liberians and allowing wrongdoings to prevail. AS REV. KETURAH YORK COOPER, Senior Pastor and Founder of the Empowerment Temple AME Church posted on Facebook Tuesday: “Ministers of the gospel must do what Jesus did. Jesus stood on the side of the poor, the weak, the oppressed, the rejected, the sick. Jesus always challenged the powerful, the elite, the rich, those in authority to stand with him to empower the weak. Minister of the gospel, where are you standing? Peculiar, is how scripture describes a follower of Jesus Christ. uncommon, unique, different and never following a popular movement just to be in a crowd. Test every spirit whether it is from God or from the desires of the human heart. God will judge us”. REV. WINKLER’S PRAYER, PROPHECY or whatever he calls it is blasphemous at best and a clear signal that today’s clergy is out of touch about the realities unfolding in Liberia today. IT IS OUR hope that other members of the clergy would distance themselves from Rev. Winkler and begin channeling the clergy members of yesterday, who said what the meant and meant what they said in raising awareness and speaking truth to leaders of the day. This is the only Liberia can progress. ALLOWING ILLS, GREED and corruption to continue to sicken our society would only lead Liberia to more suffering and pave the way for a return to an ugly chapter many would rather forget. LIBERIA CANNOT and should not allow the clergy to falter when those languishing at the bottom of the ladder, need it the most.